Ta-da! It’s really real! Finally! As you probably know, one year ago (almost to this exact day!) The Husband and I went to Egypt to research a novel. My dear friend Dr. Dirk Huyge had invited us to come spend a few days at the El Kab dig house, which is formally known as Bayt Clarke. The house, built in 1906 by an English Egyptologist named Somers Clarke, is reputed to be haunted by his ghost. Unfortunately, Mr. Clarke did not make an appearance – though it wouldn’t have been difficult for him, as his grave is in the courtyard – but the rest of the trip was magical, from our time at the dig house to the flat we rented on the West Bank in Luxor that overlooked the Gurneh hills. The result is my new book A KILLING AT EL KAB. It’s a straight murder mystery, but with the extra benefit of the reader being able to see an archaeological dig from the inside. Dirk was kind enough to be my advisor, reading the book in chunks as I wrote it so to be sure that it was as accurate as possible. The official release date for A KILLING AT EL KAB is the 20th of March, chosen months ago because we were at the dig house on that date. I had hoped to have everything ready to release by then. Isn’t it true that when you really care about something everything that can will go wrong? Oh, the electronic versions of the book are great – the print version is apparently cursed. So I made an executive decision. I took the electronic version and put it up as a pre-order on Amazon while I am wrestling with the malign cybergremlins who are playing with the paperback. This is a new thing for me – I’ve never done a pre-order before. After hearing some tales from other writers about the intricacy of putting up a book on pre-order, all I can say either I am an astounding genius (not!) or Amazon has made the pre-order process very easy (more likely). Anyway, it is available. I made another executive decision – during the pre-order period the price is only $2.99 – it will go up to the regular price of $4.99 on the official release day. The Husband laughs at my ‘executive decisions’ as I am terrible at making decisions – seeing me trying to choose from a menu is painful, as are my deliberations on what to wear to almost any function. 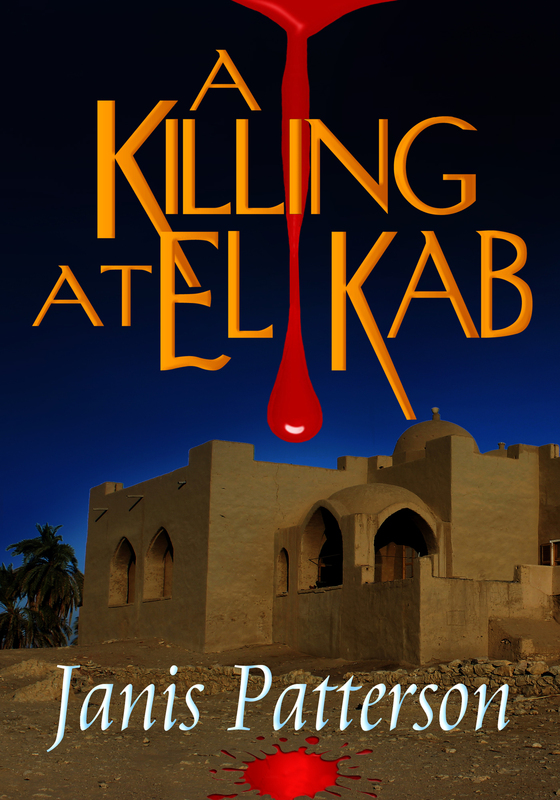 Some things just are ‘right,’ though, and A KILLING AT EL KAB is one of them. I am a very proud book mommy! This entry was posted in Janis Patterson and tagged A Killing at El Kab, archaeology, cybergremlins, dig house, ebook, Egypt, El Kab, murder, paperback, pre-order, Somers Clarke. Bookmark the permalink. Your pride in this book is showing, and that’s a good thing. Best wishes for a terrific launch followed by many, many sales. What an adventure you’ve had with this book, Janis! I’m definitely intrigued. Very best wishes for a successful launch! The research adventure sounds wonderful, and I trust the pre-order adventure will go well, too. Best wishes for the success of your new novel! Most exciting–everything about this new book of yours! It will be a best seller! ANYTHING about archaeology interests me, and this certainly does! Congratulations on the new book! What an exciting adventure from start to finish.